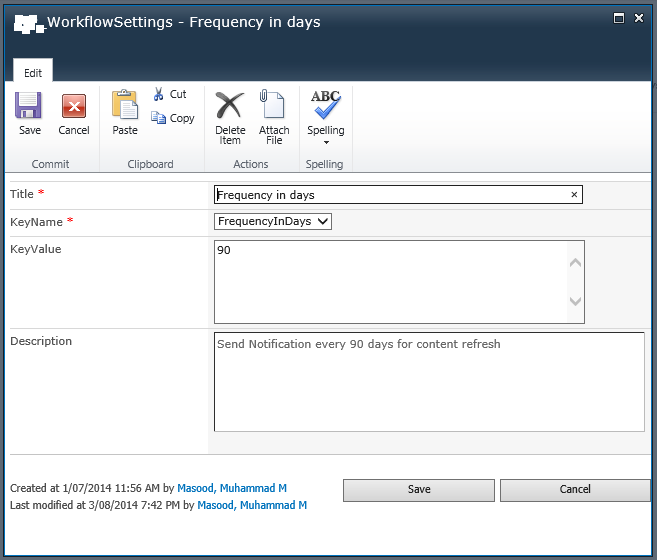 Recently one of my client asked me to create a notification email service to send email for content refresh after certain period (x number of days). But I was not allowed to write any server side otherwise I could have written SharePoint Service. As I was not allowed to write server side code, so I thought to create a Nintex workflow as they are using it in their environment. If anyone has got any other technique for this task please comment it. Note: I am using KeyName as a choice so that user cannot modify it by mistake. 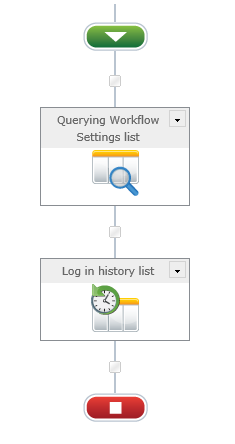 When you configure Querying Workflow Settings list, from there you can create a workflow variable that will hold the setting value. 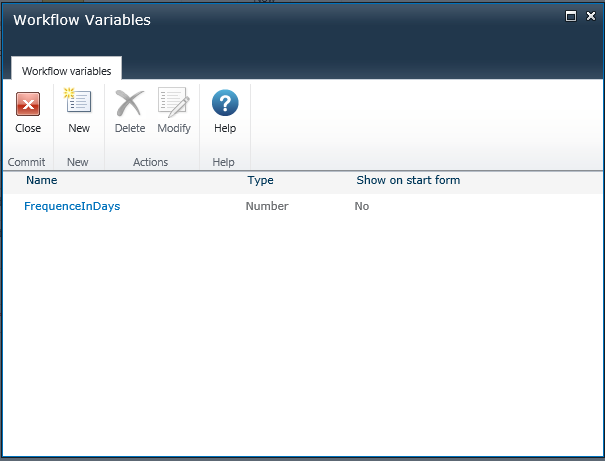 For each setting value, you need a workflow variable. 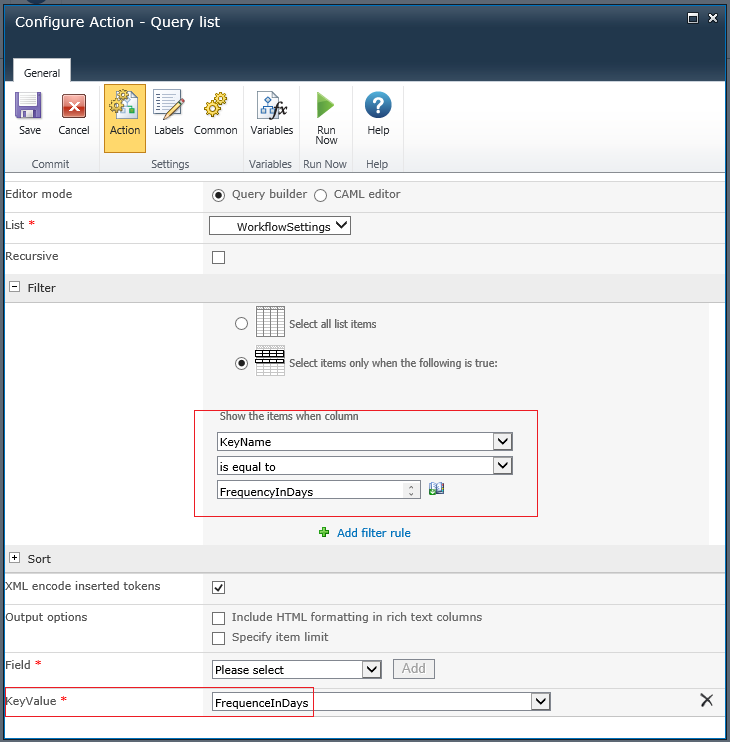 In Filter area, you need to specify the exact match so that Query List Action can fetch the values for that setting. For instance, I have got a key name in the list as “FrequencyInDays” as you can see in the screenshot of the settings list. Once you have filtered the key, you need to select the field, which has got the value for that setting and click “Add” button. After clicking on add button, that field name (i.e. KeyValue) will appear at the bottom as I have highlighted in red and then you have to select the workflow variable to hold the value from that variable. By using this technique, you can read all required settings value from the list once a workflow has initialised or can be queried before using it in other workflow actions.